Discover the untold stories of the legendary naturalist and conservationist, Dr. Jane Goodall, and her dedicated work on chimpanzees protection! 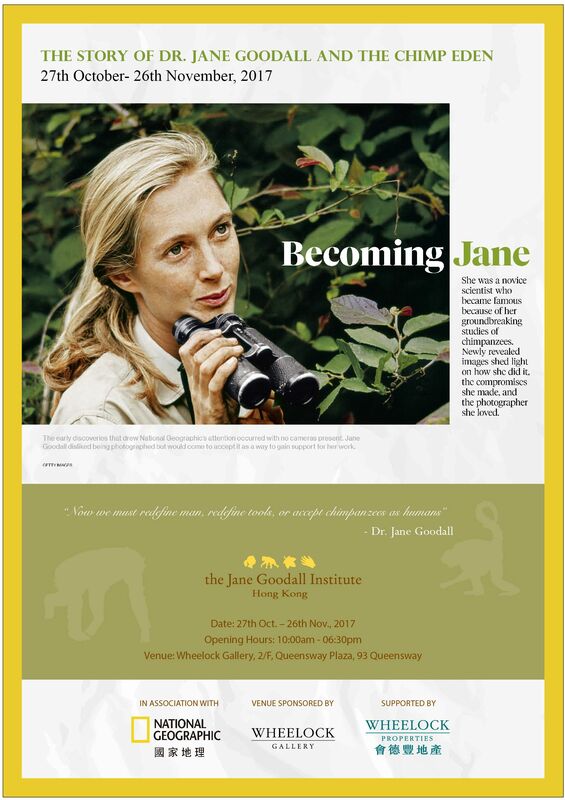 The exhibition will showcase some undisclosed pictures and stories of Dr. Jane in National Geographic. What’s more? Take a walk at Chimp Eden and meet the lovely Chimps! Explore Hong Kong Park with our tour guide and discover the hidden natural attractions of our community! National Geographic Young Explorer Laurel Chor will share her story with Dr. Jane and how Dr. Jane inspires youngsters to chase their dreams. Take a walk at Wan Chai with our tour guide, learn about the trees and the stories of this hustle and bustle city.